Canterbury’s Flat Peak Cap is quality headwear, built to stand up to life’s knocks from tough, durable 100% cotton drill. Its flat peak design creates a stylish alternative to the classic curved bill and it has a snap back closure at the back to ensure a comfortable fit. 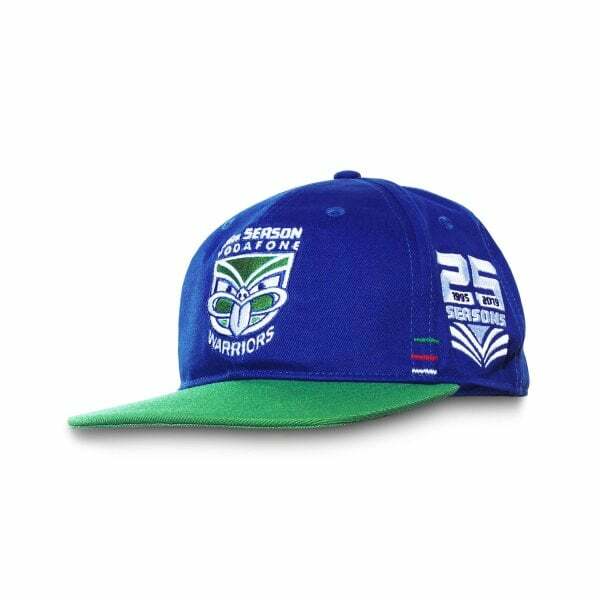 Featuring the Vodafone Warriors’ 1995 foundation colours of blue, green, white and red and with a commemorative logo on the front, it pays tribute to the team’s 25 years as an NRL team. This stylish cap will quickly become a favourite, so secure yours now from Canterbury’s 2019 Vodafone Warriors Supporters collection.